Extremely lightweight eyewear protection has wrap-around lenses to protect eyes while offering an open, unobstructed viewing range. 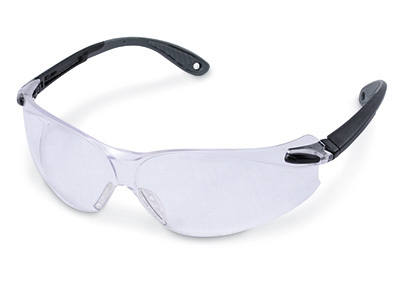 Black and gray temple frame with clear, anti-scratch, anti-fog, hardcoat lenses provide added durability. Adjustable nose bridge makes long term wear more comfortable. Soft, dual-injected temples help to relieve ear discomfort. 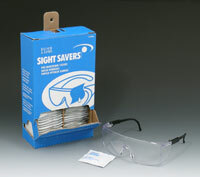 High impact polycarbonate lenses absorbs 99.9% UV. Meets ANSI Z.87-2003 requirements.